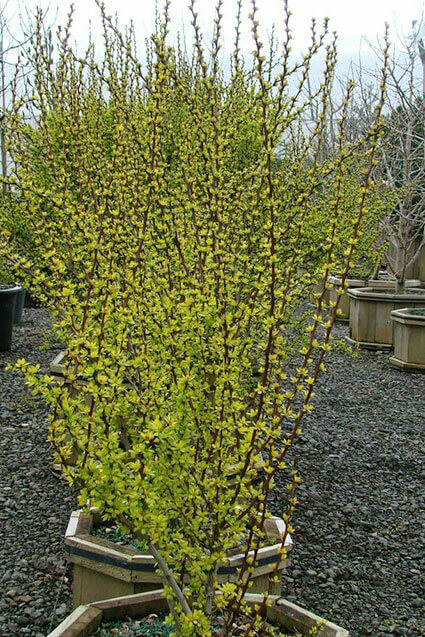 This wonderful shrub has lime green leaves in spring and summer. Dainty yellow flowers in spring. Lovely orange/yellow autumn foliage. Good as a pot, shrubbery or rockery plant.